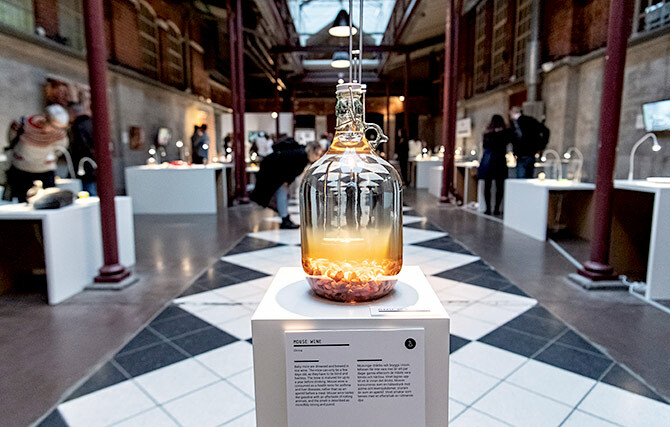 Rediff.com » News » A food museum for rabbit heads and maggot cheese! A food museum for rabbit heads and maggot cheese! 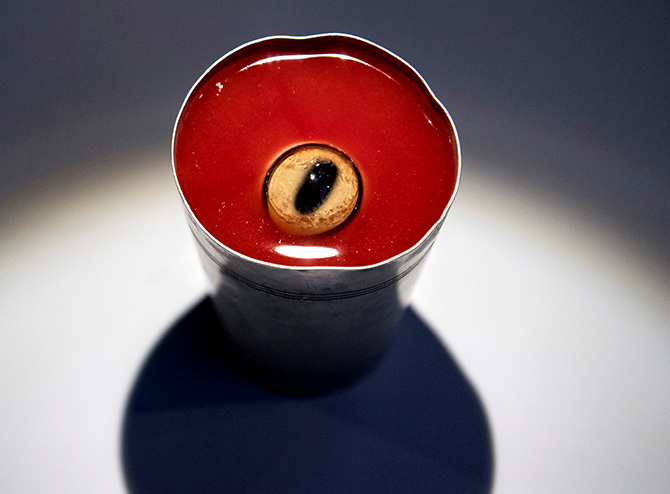 Sheep eyeball juice, frog smoothies and fruit bat soup... Which one do you find yucky? Eww, yuck, disgusting, blechhh…. These are just some of the words one is bound to hear at this new museum -- the Disgusting Food Museum. 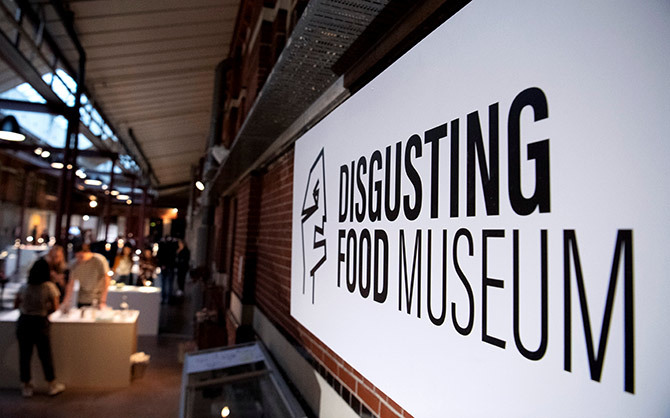 Opened in Malmo, Sweden, the museum contains chock full of revolting dishes from all around the world. According to curator Samuel West, the reason behind this temporary museum, besides entertainment, is to get people to think about what they consider repulsive. He says he hopes it will encourage more people to try alternative sources of protein, like insects and lab-grown meat. 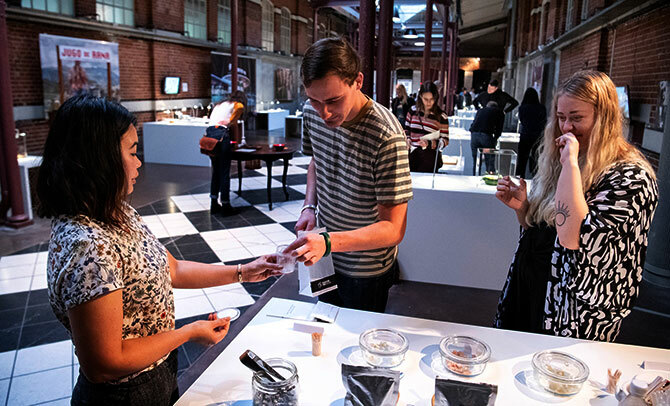 The museum is a 400-square-metre olfactory experience, where visitors can smell, touch and taste different foods that have been considered “disgusting” around the world. 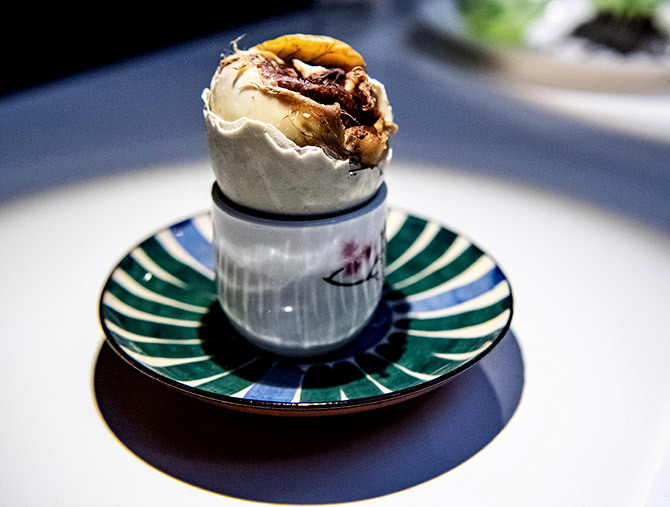 The idea for the exhibition was prompted, in part, by his concerns about the ecological impact of eating meat and his own environmental footprint. He said he hoped the exhibition would stimulate discussion about sustainable protein sources. More than 80 items from 35 countries will be on display: Haggis, the Scottish delicacy made of offal and oatmeal, traditionally boiled in a bag made from a sheep’s stomach; Vegemite, the thick, black yeasty spread from Australia; and Spam, the pink-hued canned cooked pork product that American troops introduced to the cuisine of the Pacific Islanders in the years following World War II, will be represented. Some of the delicacies are so smelly they are kept in glass jars. At a museum preview last week, people took tentative sniffs of the displays before recoiling with grimaces. 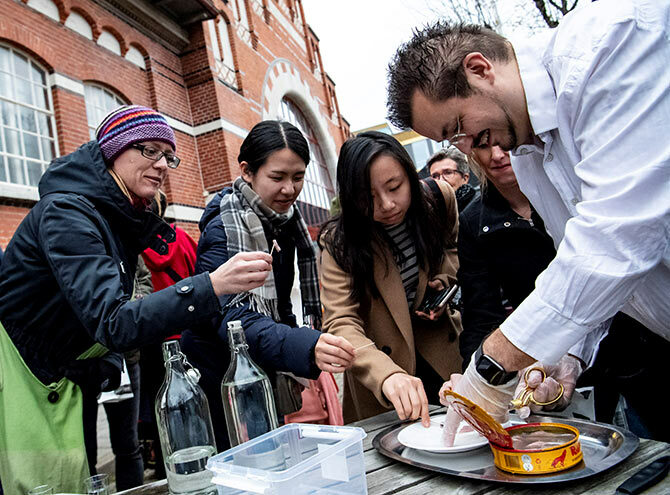 Some of the food also proved to almost be too much, added Dr West, like the surströmming – that’s Swedish for “sour herring” and is fermented herring. So what's topping West's very own list of disgust then? “Fermented Icelandic shark - it tastes like death mixed with ammonia,” he laughs. 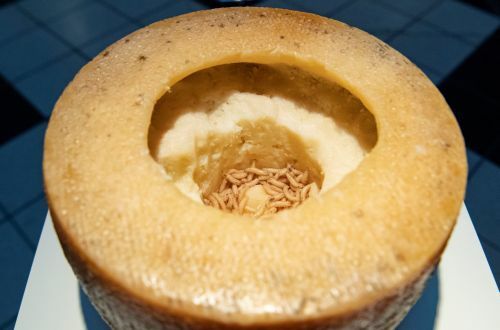 "I think Anthony Bourdain described it as the single most disgusting thing he's ever eaten - and I can only agree." People in Iceland will likely beg to differ - and hence be proving the very point of the museum. 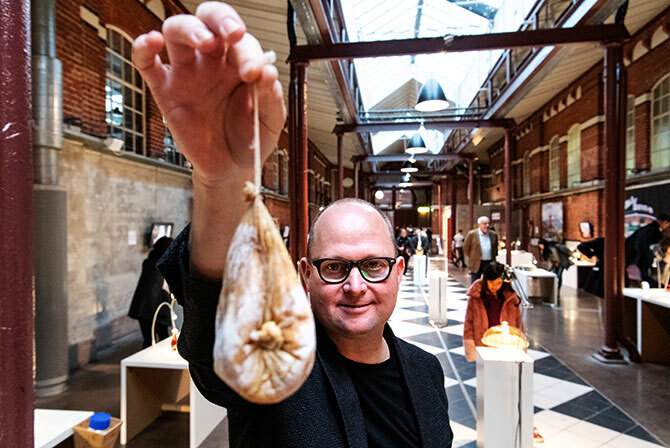 West has said after three months he plans to take the Disgusting Food Museum on tour to cities around the world. Welcome to a museum where the art is sweet!